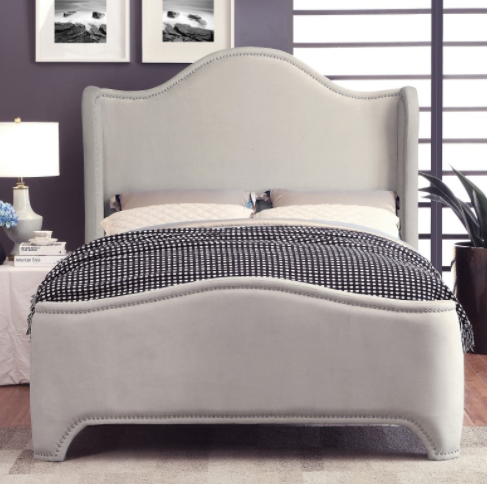 This grandiose and awe-inspiring bed’s plush velvet exterior rivals the softness of even the highest thread count bedspread. 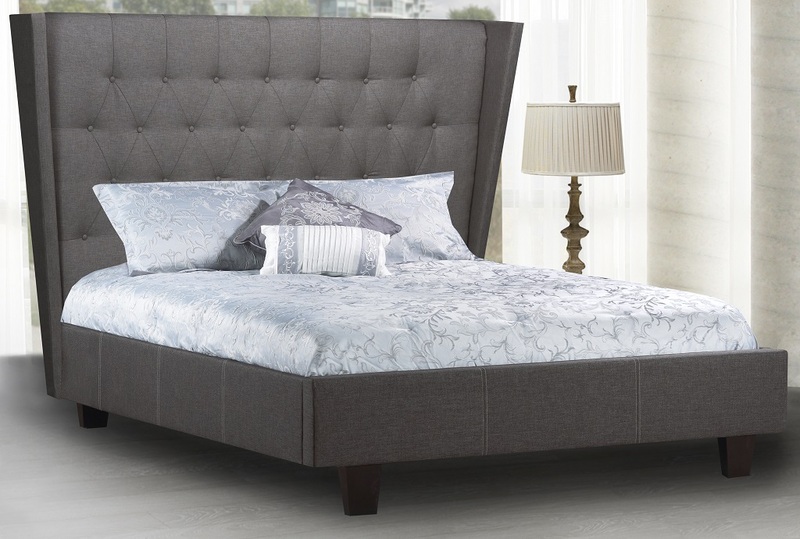 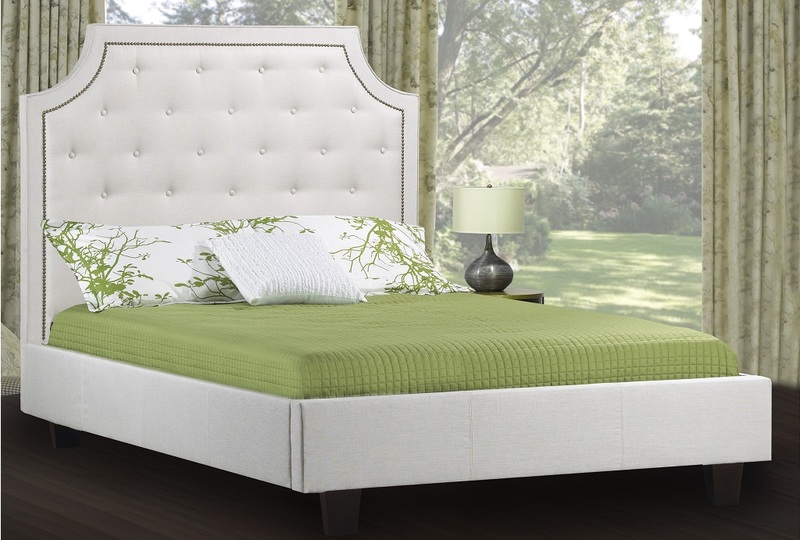 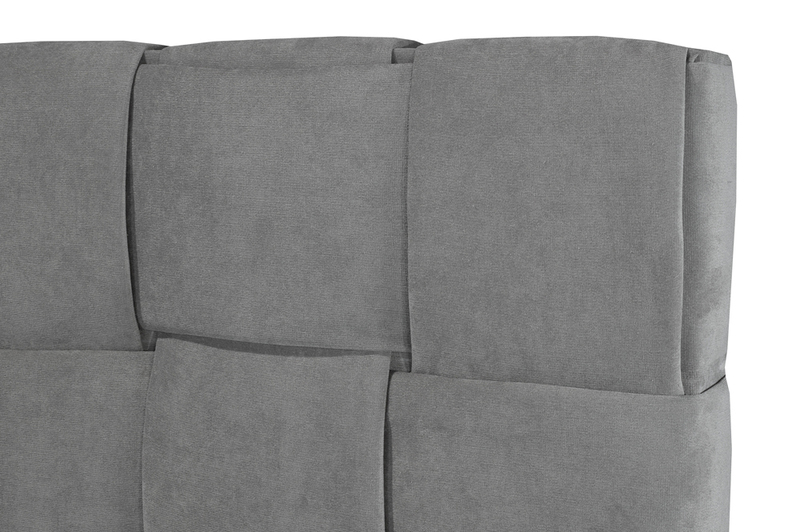 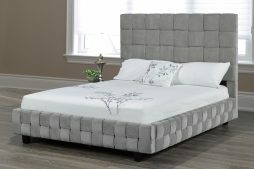 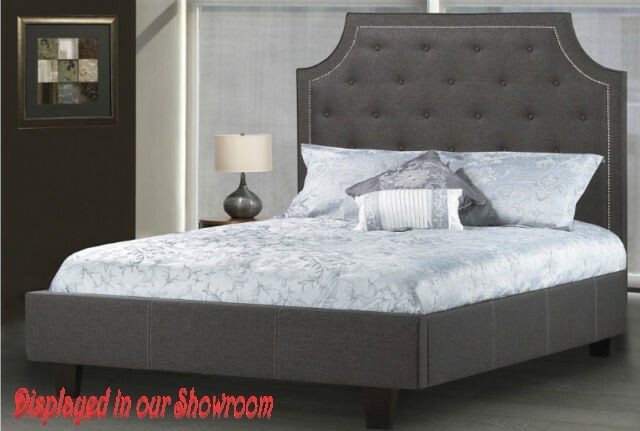 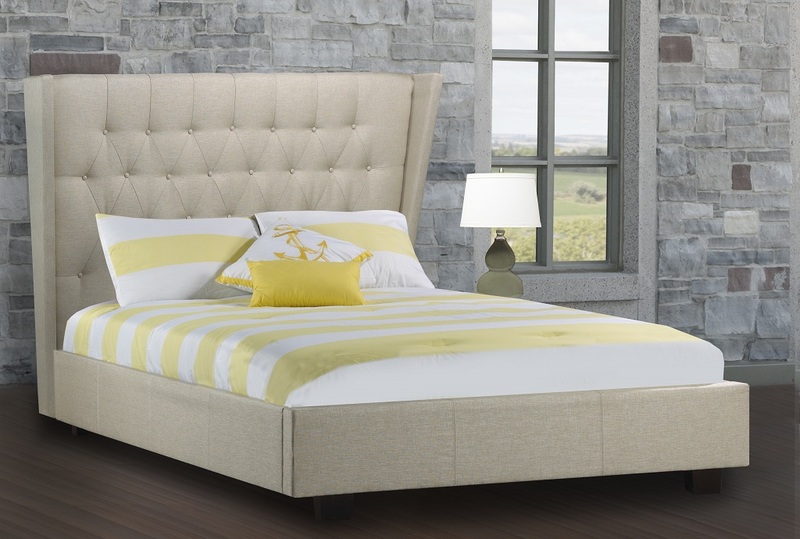 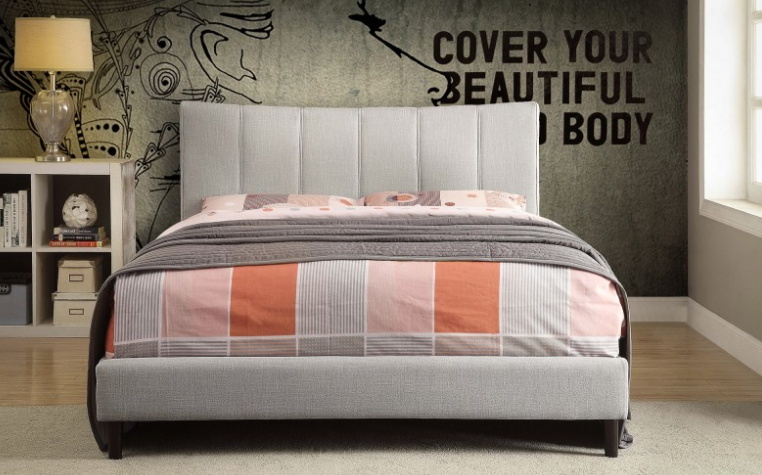 This transitional styled furnishing immediately catches the eye with its delicate chrome stud detailing that takes second only to the fully upholstered headboard, footboard, and rails. 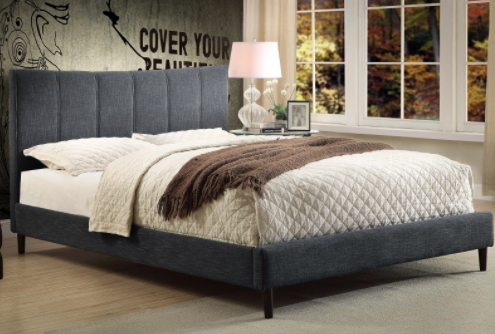 Its rich but neutral grey color scheme acts as a neutral complement to a multitude of decor styles including but not limited to rustic, shabby-chic, and mid-century modern. 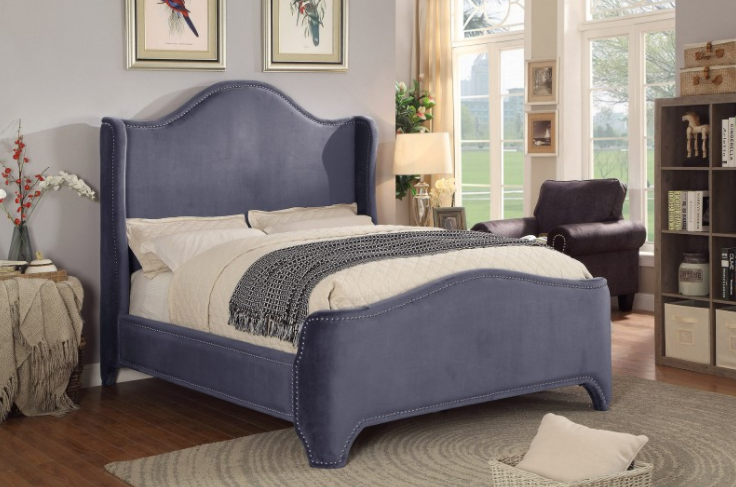 Sturdy in stature and poise, this gorgeous bed will act as the focal point of any bedroom, setting the stage for a night filled with sweet (and stylish) dreams.